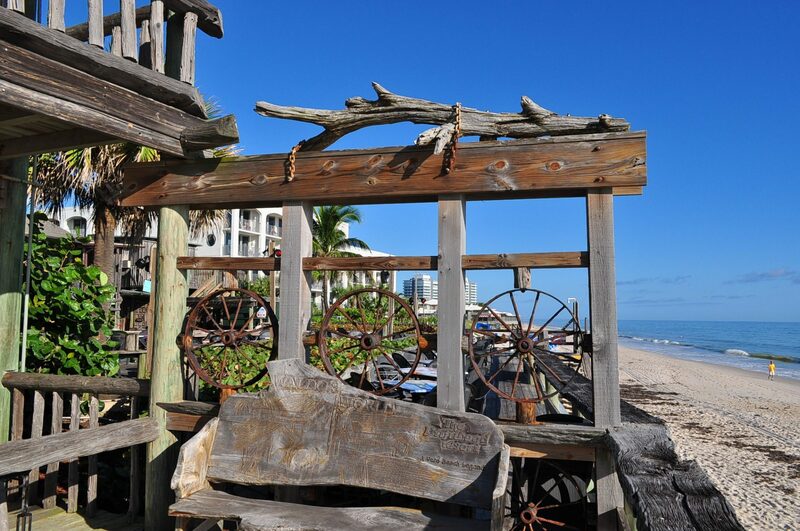 Once again Nikki & I took to the road to deliver some driftwood tables to customers in S Florida. 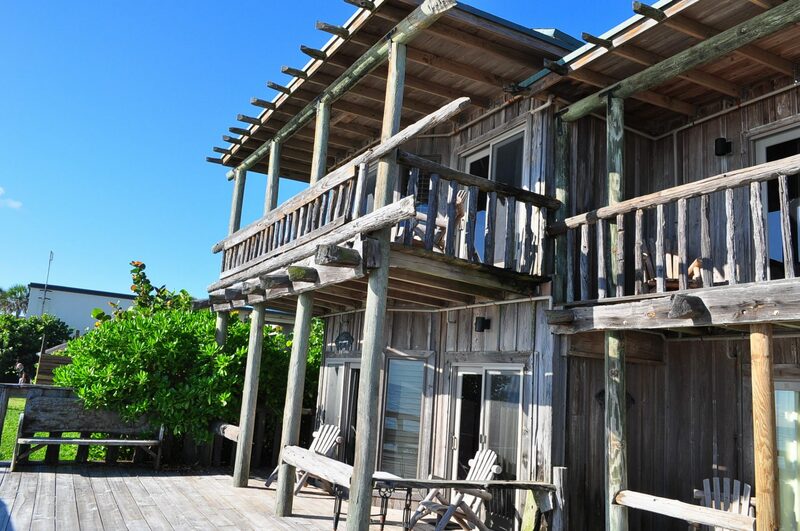 Our first stop was to Marathon in the Florida Keys. 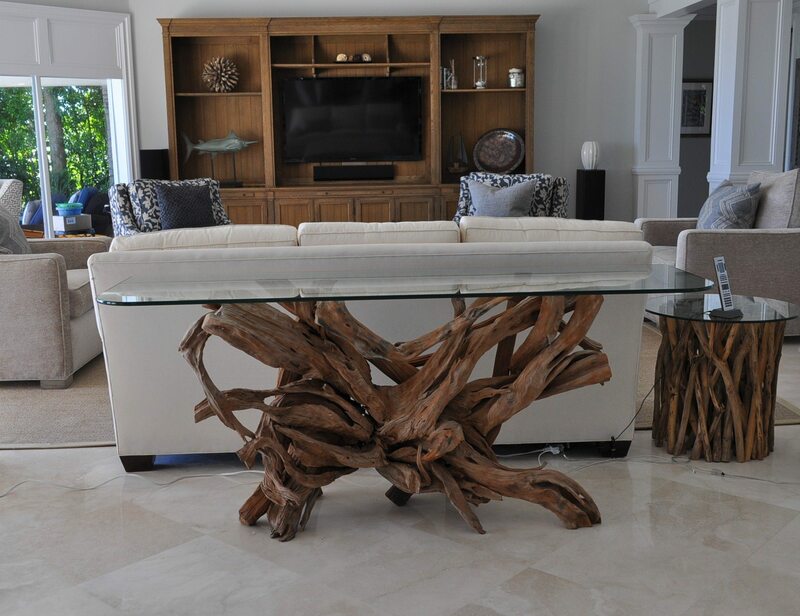 Debra, who lives in Dallas, had found me online & selected a large foyer table in my showroom that was probably one of the nicest driftwood root systems I’ve ever had. As a matching piece she also wanted a large round dining table that I was in the process of weathering. 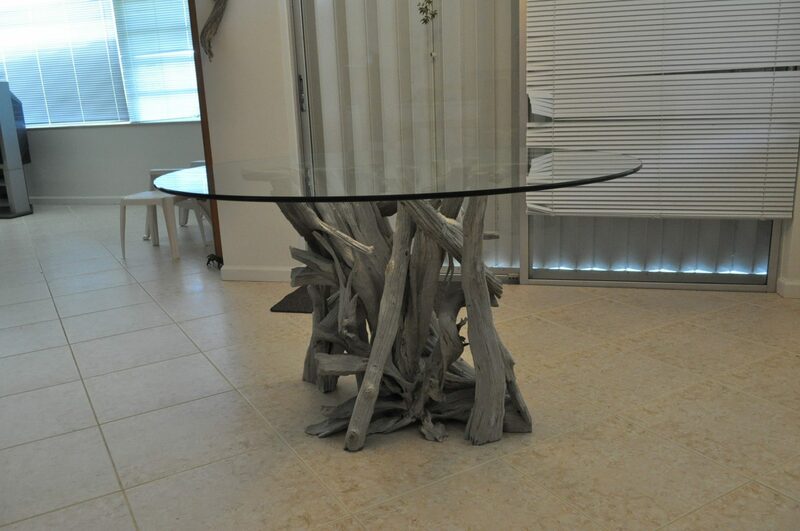 Normally, I do not supply the glass for my driftwood dining tables unless it’s one that I’m able to deliver & will fit in my van. This dining table called for a 54″ round glass which I am able to carry. My glass supplier is in S Fla, so on our way to Marathon we stopped & picked up a small glass order & proceeded from there. We have to make that trip for every glass order but it’s worth it to save on crating & shipping. 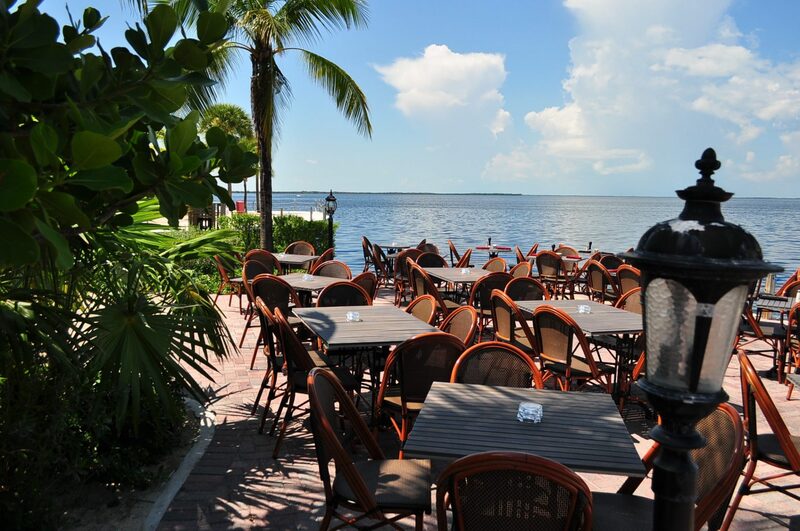 We stopped for lunch at one of the many fine seafood restaurants found in the Keys (of course the view was enjoyable) & then on to Debra’s Gulf front home. They still have to complete the room with chairs, etc but hopefully I’ll be able to receive some additional images when they are finished. 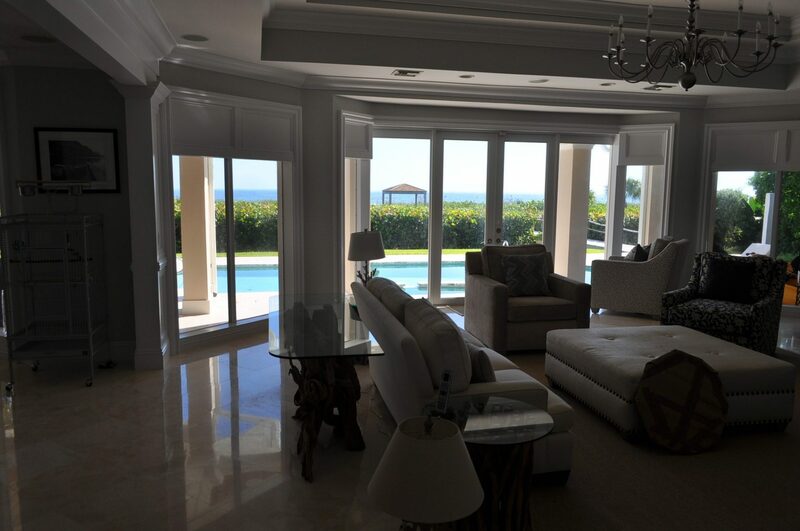 It was mid afternoon when we left Debra’s home so instead of spending the night in the Keys (our original intent), we decided to drive up to Vero Beach so that we could make our next delivery in the morning. 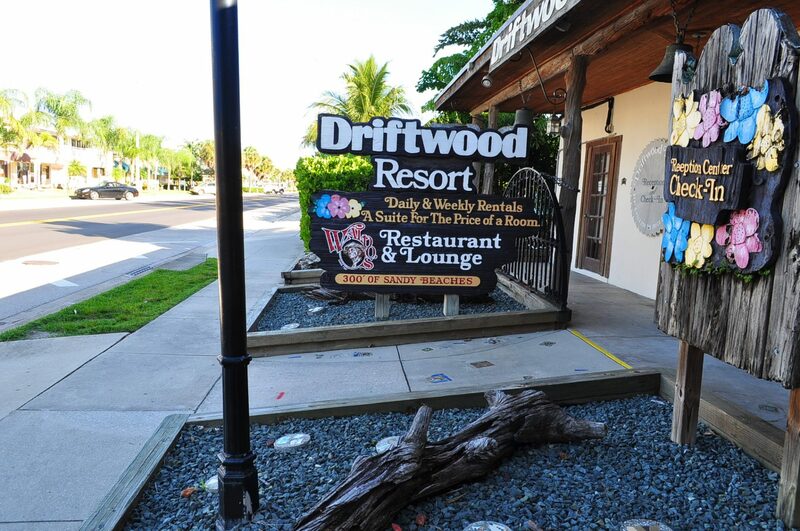 It was only appropriate that we stay at the Driftwood Inn, an iconic beach front lodge that we first visited over 30 years ago. 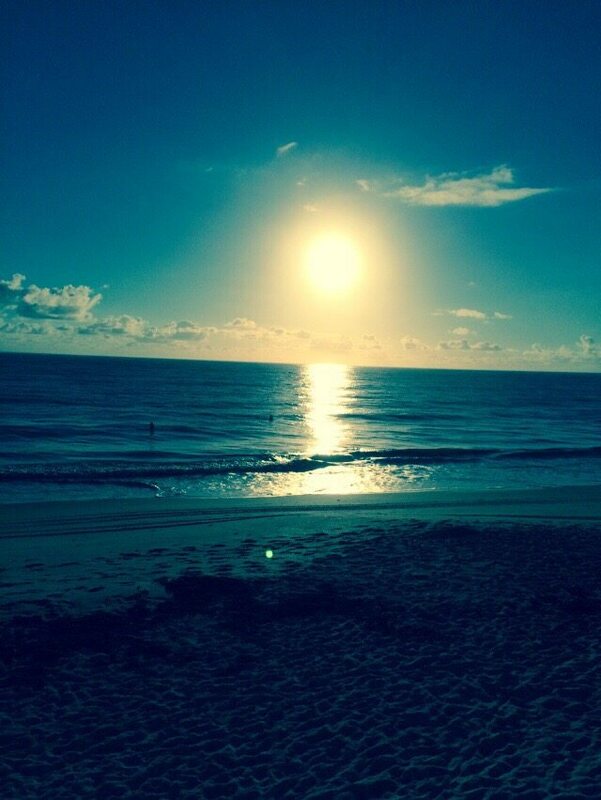 Nikki is the early riser so she was able to capture this sunrise. 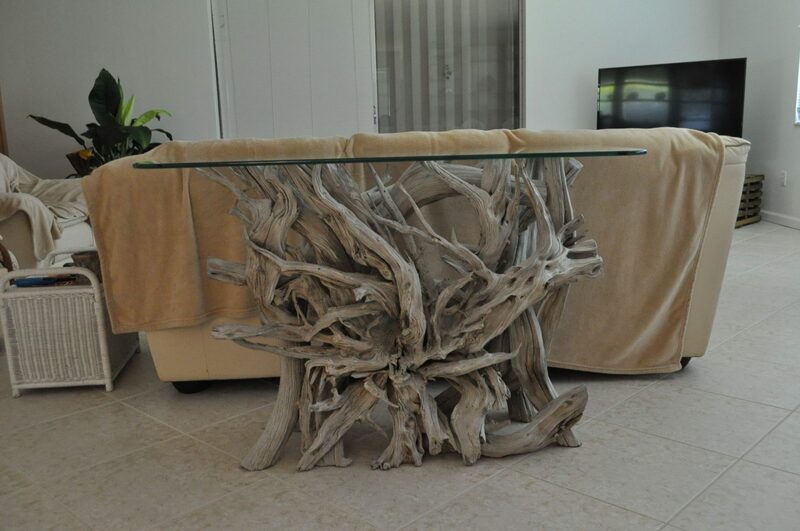 This faded sandblasted sofa/foyer table was for a Vero Beach interior designer whose client’s home was located directly on the Atlantic Ocean. The glass was 72″ long with 6″ radius corners in the front. I’m currently working on a small driftwood & glass end table for another room. 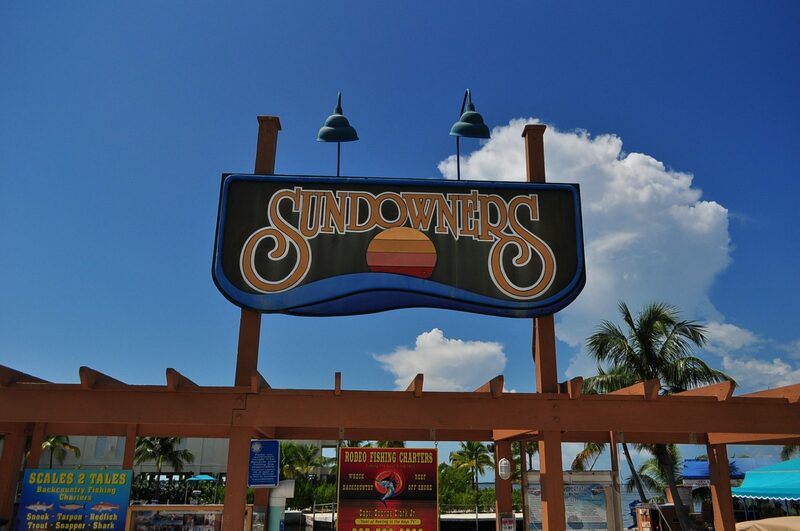 Over 700 miles later we were back to Orlando & ready for a few days off. Hi I don’t drive. would like to know the price. for just the base of a dinning room table. 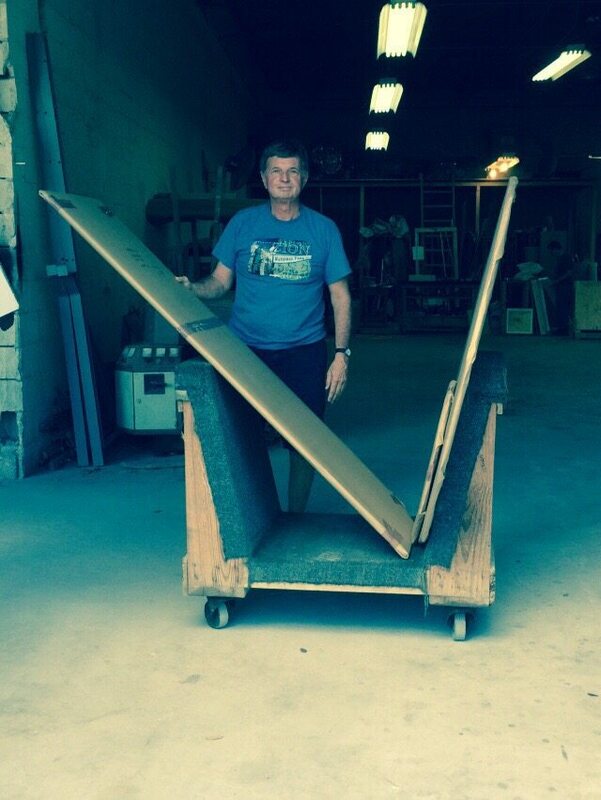 and for shipping , all ready have glass top for 6 chair. I am located in Harvest Alabama. right next to Huntsville Al wear the space and rocket center is.